Innovative Cascade Labyrinth Hydrodynamically designed tooth structure helps to create double flow regime viz. central curving flow and turbulent cyclone in the dripper. This helps in continuous flushing of particles. Three Dimensional Inlet Filter Unique 3-D filtration surface (having length, width and depth) enable clog free operation even under high clog risk conditions. Marked with two parallel yellow stripes `Twin- Line®´ Symbol of quality. It also helps to ensure upright positioning of the dripper. Laser drilled outlet hole Precision laser drilled outlet gives uniform and clear opening. Light Weight and Compact Light weight and compact dripper welds perfectly to thin wall thickness of the tubing without leaving stress marks. Freight Saver Longer coil lengths reduces the volume and saves freight and storage cost. Sizes : 12, 16, 17, 18, 19, 22 and 25 mm nominal diameter as per Metric Standard. 1/2″, 5/8″, 7/8″, 9/8″, 1-3/8″ nominal diameter as per US standard. Wall Thickness : 5, 6, 8, 10, 12, 13, 15, 18, 20 mil (0.15, 0.2, 0.25, 0.30, 0.32, 0.38. 0.45, 0.50 mm) Any other wall thickness can be supplied on demand. Emitter Spacing : Standard emitter spacing - 15, 20, 30, 40, 50, 60, 75, 90, 100, 120 and 150 cm. Other emitter spacing and group spacing can be supplied on demand. 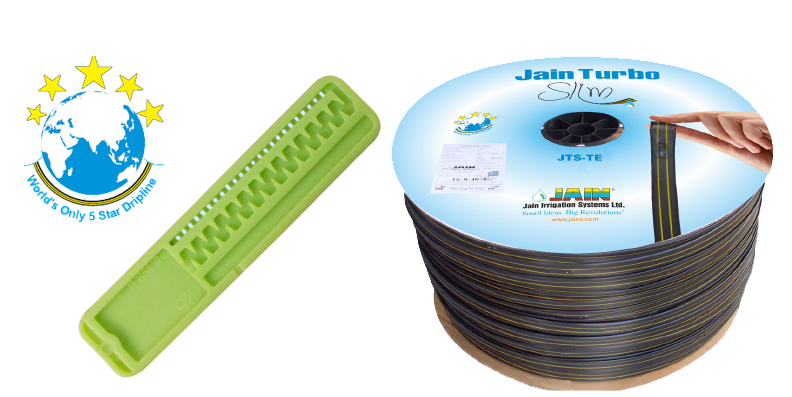 Jain Turbo Slim TE is ideal for irrigation of closely spaced row crops like sugarcane, potato, cotton, banana, strawberry, lettuce, cabbage, tomatoes, chillies, pepper, melons, cucumber, floriculture, vegetables and spices. 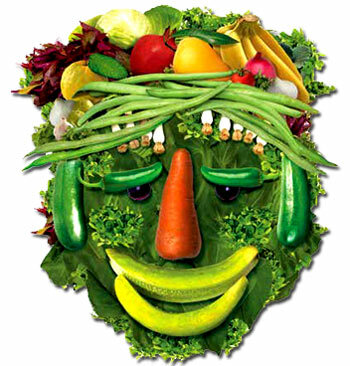 Recommended to use in greenhouses and nurseries. Suitable for surface as well as sub surface installations.